1080 Pressure Washing works with residential and commercial clients in the cleaning and restoring of stucco homes, businesses and properties throughout the Metro Atlanta area. We utilize a soft wash approach to maintain the integrity of the stucco masonry and paintwork while ridding the exterior of your stucco home or business from dirt, grime and other debris build up. If you are looking for a pressure washing contractor in the Atlanta area who is experienced in cleaning and washing stucco surfaces, give us a call. Stucco is a surface that requires a soft wash. Often times inexperienced pressure washing companies will instead use a high-pressure wash that will damage the stucco finish of your home or business. We use a soft wash method to clean and restore stucco to its original condition without risk of damage, often cause by inexperienced power washing contractors. 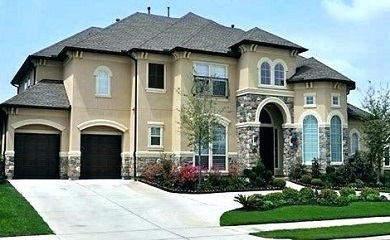 There are many Atlanta homes and business that are constructed from stucco. Cleaning these surfaces means you need to find a pressure washing company that has experience cleaning and restoring stucco finished homes. At 1080 Pressure Washing, we ensure that we use the right amount of pressure in order to get the very best results, while ensuring that no damage occurs. High pressure or power washing of stucco can easily cause irrevocable damage to the masonry and/or the paintwork.